Answer the questions from the person who nominated you. Nominate a few other bloggers and notify the bloggers on their blog. 1. If you passed away and you believed in communication between the spirit world and the living who would you contact and why? I don’t believe that the spirit world can communicate to the living. Assuming that spirits can, I will contact a notorious corrupt official in our country and scare the wits out of him. I’ll haunt him until he dies unless he return back all the money he stole from the national treasury! 2.What does the term, “We are one” mean to you? The universe and everything in our planet are cosmically one. We all came from star dusts and from star dusts we will return to be recycled by the universe. 3.Why would reading an aura or energy reading be useful to you? I guess that by reading an aura, it will let me know what a person is feeling. 4.Simply what makes you happy? 5.If you could wish to be anything or anyone who or what would that thing be or who would you choose to be? I want to be a super computer with billions and billions of information inside me. Every appliances, devices, cars, buildings, and anything man-made shall be connected to me that will make people think that they cannot live without me! Thanks again, Spiritkeepers, for the nomination. 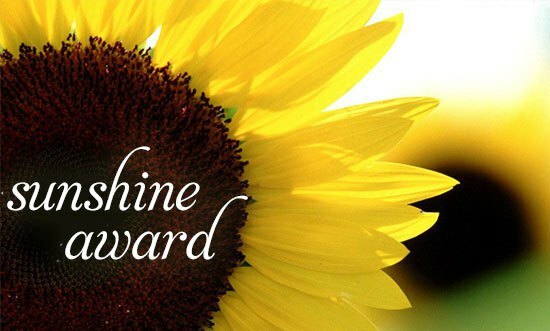 I’ll be sending in a separate blog those that I will nominate to the Sunshine Award. Cheers! The Quezon Memorial in Daylight…! Now can you post a video of your family jamming? And I can guess the person you’re talking about in #1. I’ll join you, when we’re done with him will haunt the rest of them. Loved your pics. Best of luck. Have you ever seen the movie “Lucy”? Your answer to question #5 reminded me of that movie. She got to live your dream briefly. Not sure, I love Johnny Depp, but haven’t seen that one.